1. 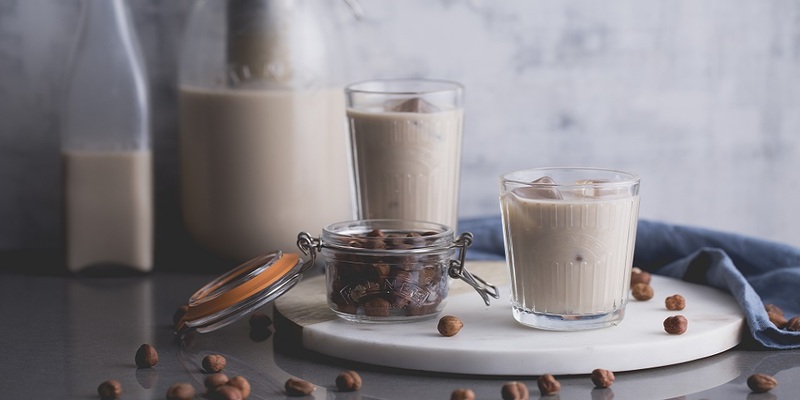 From your Kilner ® Cold Brew Coffee Set, fill the Kilner® 68 Fl Oz Clip Top Jar ¾ with your hazelnut milk. 2. Fill the Stainless Steel Filter with your freshly ground coffee. 4. Leave the jar in the refrigerator for between 12-24 hours in order to allow the coffee to steep.